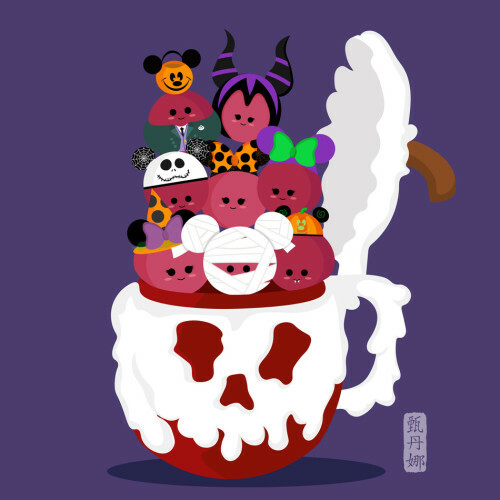 This might be the cutest Poison Apple Mug I’ve ever seen. You wouldn’t normally describe anything poisonous as “adorable”, but that’s kind of not the case here. We can’t get enough of Donna Yan and her Disney Food Art Paintings and we’re super glad she’s added a Halloween Version to the mix. I mean, look at that grape wearing the Maleficent Hat! And the grape with the fangs? Stop it. And you can pick up any of her prints for just $7 and add a frame for a little more. The cutest, most inexpensive Disney Halloween Decoration you could ask for.